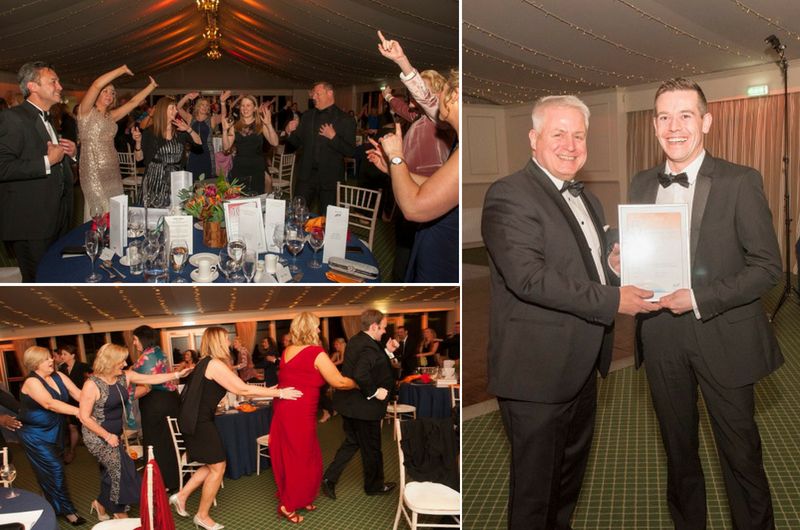 We were delighted to welcome Manpower UK Ltd to Dundas Castle in March 2018 for an awards event. 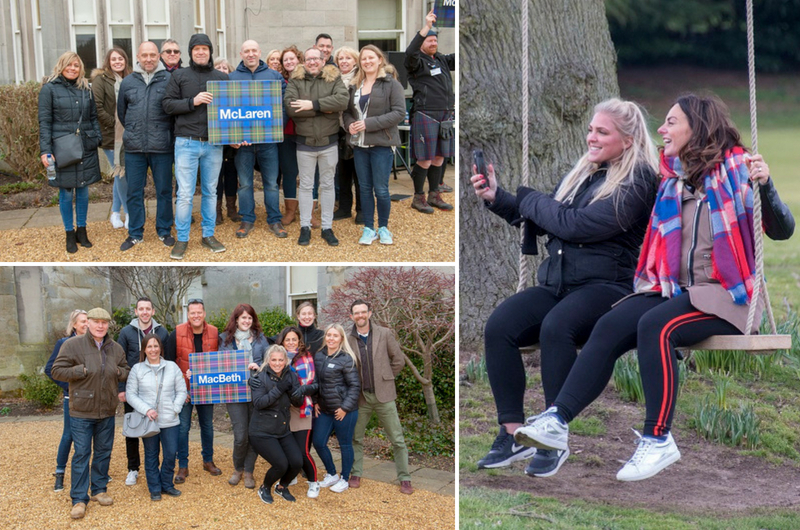 The management team at Manpower were looking to reward their employees who had performed exceptionally well with a special corporate away day. 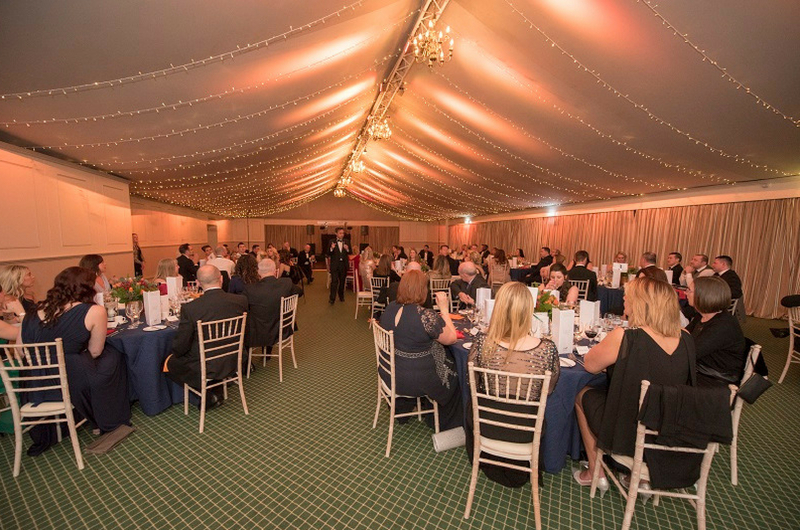 The guests took part in Highland games during the day, followed by dinner and an awards ceremony in the Pavilion. 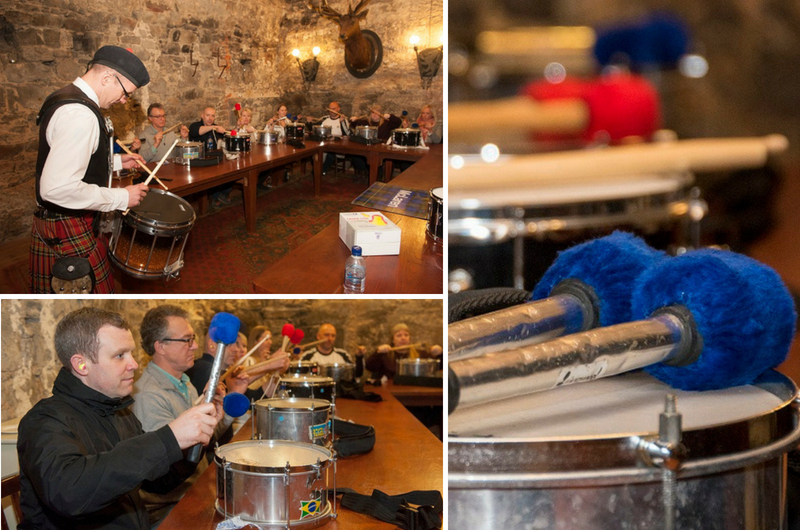 The management team stayed overnight at the Castle, while the rest of the team stayed in accommodation nearby. 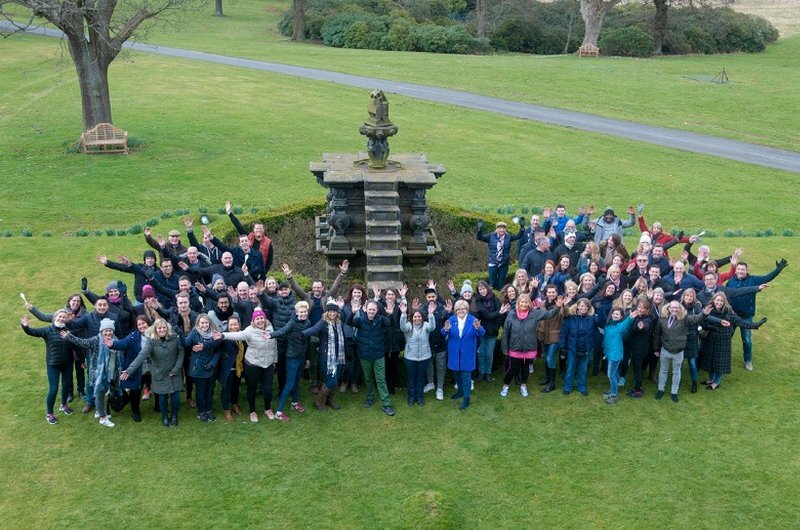 Have a look at their away day and see why Dundas was the perfect venue for their corporate event. 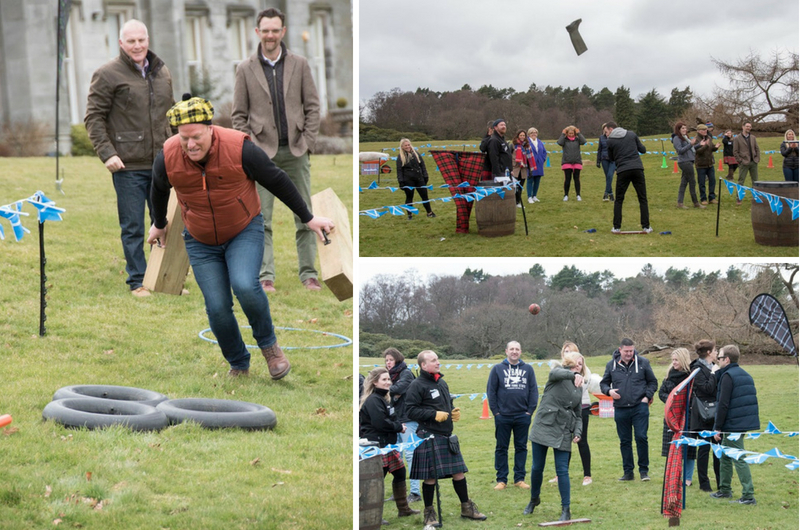 Manpower began their event by splitting the team into Clans to take part in Highland games. 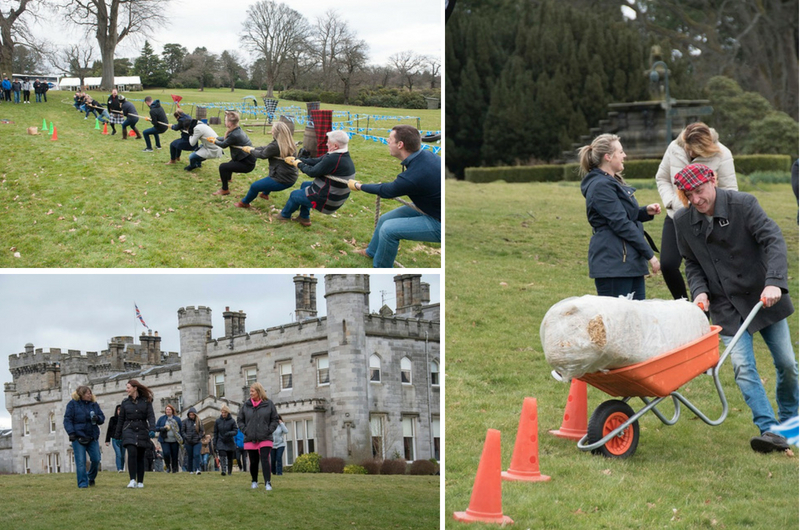 The activities were run by Maximillion Events and included welly wanging, tossing the caber and team games which all took place on the estate. 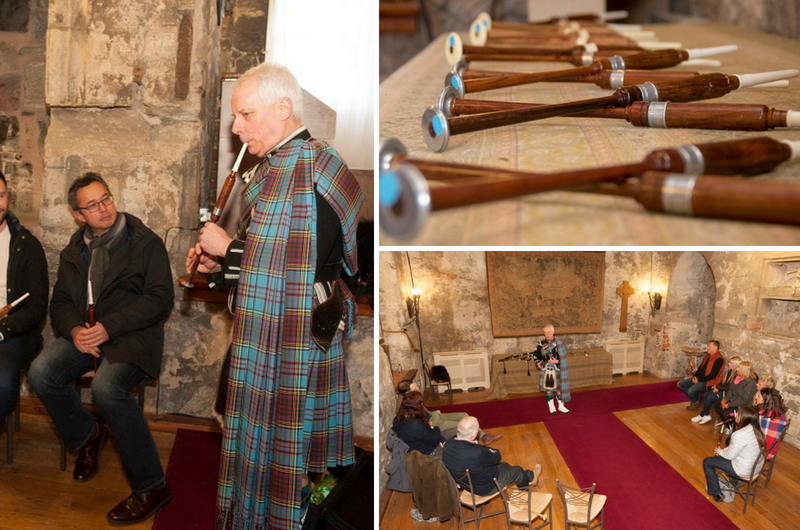 Guests also got to enjoy whisky tasting and pipe & drum workshops within the Auld Keep and Croquet Room. To conclude the Highland games, all of the clans were invited to take part in a tug of war. 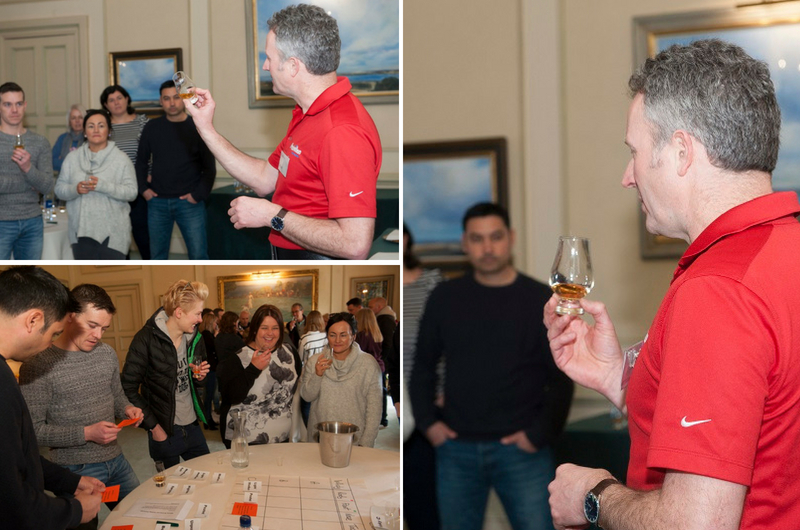 It was a delight to see all the guests having a such a good time, and to see the competitive spirit develop within the different teams. 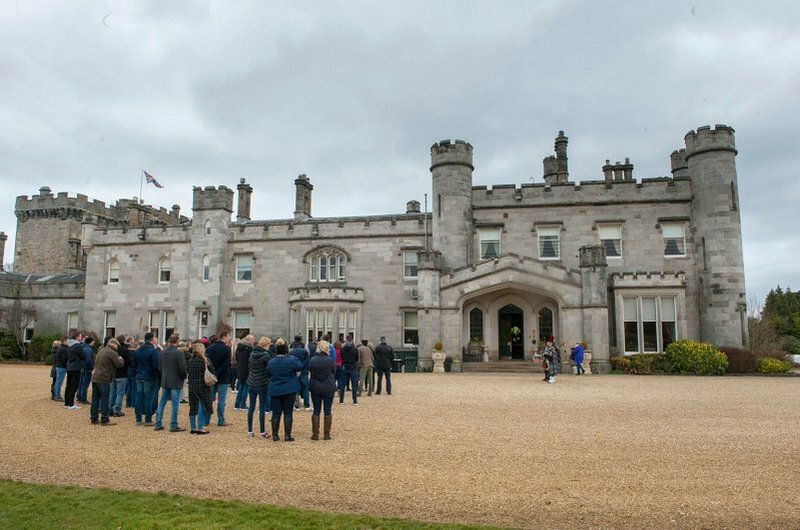 After the Highland games, our guests were transported to their nearby hotels, to relax and prepare for the evening celebrations. 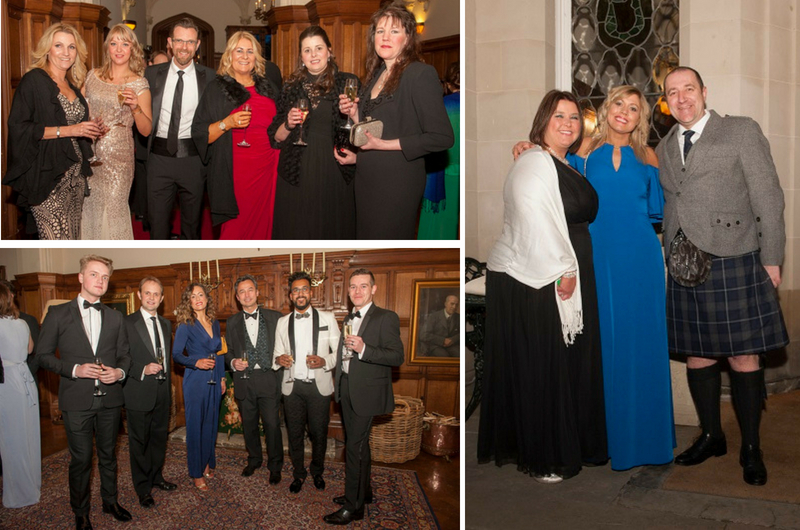 On returning to the Castle, they had a drinks reception followed by celebratory dinner in the Pavilion. 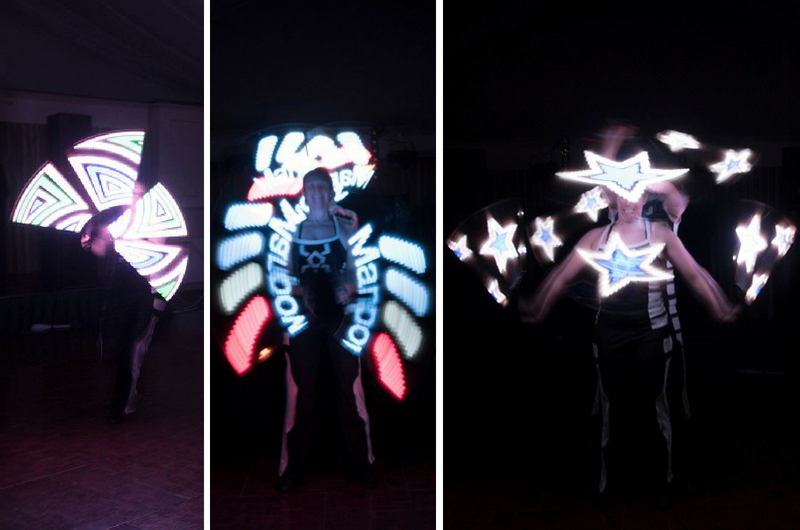 The team enjoyed a delicious three-course meal and surprise entertainment, which included a glow light show and singing waiters. 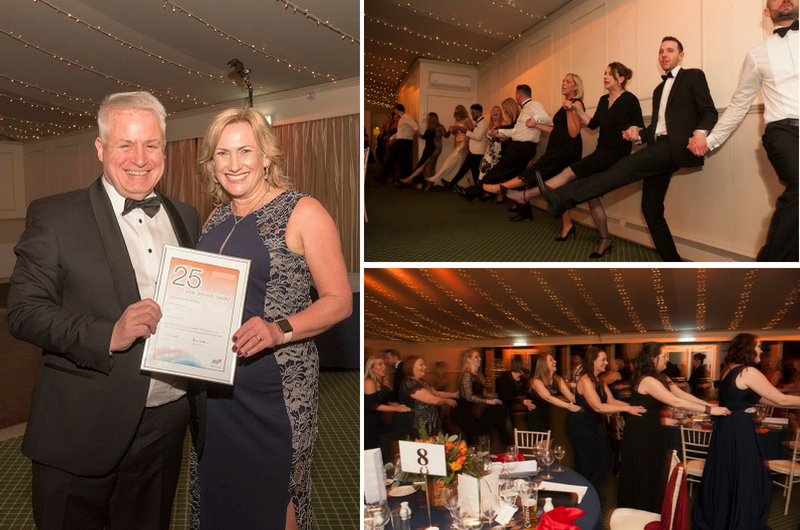 The entire Manpower team truly entered into the spirit of celebrating which resulted in an extremely memorable, funfilled evening!